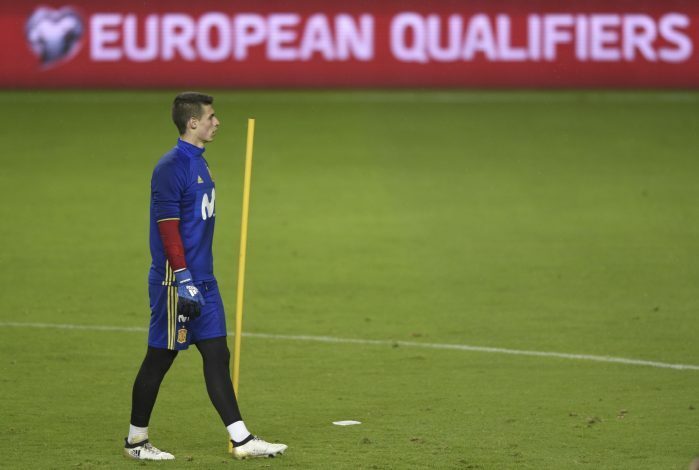 Athletic Bilbao goalkeeper Kepa Arrizabalaga has put pen to paper to sign a new contract with the La Liga side, thereby ending all speculation that linked him to Real Madrid. The 23-year-old was mooted to make a switch to Santiago Bernabeu, as his previous contract was set to expire at the end of the 2017-18 season. However, Arrizabalaga has instead committed his future to Bilbao, and put an end to a potential €20 million move to Los Blancos. The Spaniard’s new contract has an €80 million release clause stipulated in it, and it will keep him at San Mamés Stadium until 2025. Meanwhile, Bilbao, who currently sit 12th in La Liga table, are six points short of the Europa League spots, and with the Spanish shot-stopper’s “distracting saga” now over, the club could once again start focusing on securing a higher finish. And as for Real Madrid, their pursuit to land a world-class goalkeeper is still on, with David De Gea and Thibaut Courtois believed to be the top players on the defending European champions’ radar.